At the end of August, a decision was made to remove a statue—named “Sun Child”—that had been erected in Fukushima after the tsunami-caused nuclear accident of March 11, 2011. The statue depicts a boy who wears a yellow protective suit but no helmet. Looking up at the sky, he has a monitor on his chest with the counter set at "000." Six meters tall, the statue has provoked strong reactions among those who have seen it. It is not clear if any of those views represent a majority of public opinion. Indeed, many people in the prefecture, while voicing their understanding of the feelings of the statue’s critics, personally wanted the piece to remain. In the end, the decision was that it had to go as long as it hurt some residents’ feelings. The issue inherent in this episode is not, I believe, whether Sun Child was appropriate or not. It is instead whether there is ever a place for art with an uncomfortable message. Recently, criticism was leveled against a television drama in Japan in which a character died in the giant earthquake seven and a half years ago. The use of the disaster in one touching scene, some people said, “lacked consideration for the victims.” Although the setting for the drama was not Fukushima, the underlying question was the same as with Sun Child. Intentionally hurting others, obviously, is something to be avoided. We frequently encounter questionable wording, images, and the like, and wonder if they are really justifiable as “free speech.” But can there be any message that never upsets anybody and pleases everyone all the time? The removal of the Sun Child statue puts that question squarely before us. Since the March 2011 accident at Fukushima Daiichi, there are clearly fewer people speaking up about it. Despite that, many related subjects are still worthy of discussion, for the simple reason that some locals are still unable to return to their home districts owing to lingering radiation. I have the impression, though, that the pace at which people have stopped voicing their concerns—not discussing the issues—is much faster than what can be merely accounted for by the ordinary passage of time. Why, then, are people shying away from Fukushima as a topic? One reason seems to be a peculiar burden or troublesomeness about the issue that has emerged since the accident. Many people who have discussed Fukushima-related issues online and elsewhere now cite having been attacked, criticized, or “jumped on”—the Internet term is being “flamed”—for comments that they have posted. I must say the best response to that is simply to ignore such criticism. Anything that anyone says on any topic nowadays will inevitably be hurtful to someone. Even so, such experiences keep the people who want to be involved, and who want to talk about Fukushima, at arm’s length from the issue. 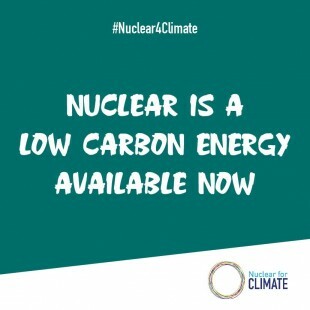 Immediately after the nuclear accident in 2011, for instance, social media and comment boards painted a broad picture of Fukushima as “dangerous.” Much of what was said was uninformed—ultimately, wrong both factually and tone-wise—and surely caused problems for many people unnecessarily. During that period of little actual information, however, most misinformation was shared in good faith. Now, the people who made such comments are thinking twice about getting involved again. I’ve been increasingly concerned about that trend recently. What we see is that those deemed to have done the “attacking” are now being attacked themselves. Those who, with the best of intentions, tried to convey information about radioactivity, the recovery, and other matters are now said to have “hurt people’s feelings,” and more. Such barbs will surely be voiced anyway, and when they appear on social media, their intended targets tend to feel as if they are being simultaneously attacked by hundreds of people. That is the experience of the disseminators of such opinions. There is, indeed, validity to some of the criticisms being made, and we should learn from them. But for those who were innocently attempting to participate in the discussion for the first time, it is a terrible shock to be accused of having caused personal pain and harm. The more well-meaning a person is, the more vulnerable he or she may be to “feeling guilty” about spreading false rumors. 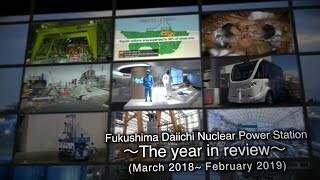 Among those who tried to do something for Fukushima and quit after trying only once, or who left Fukushima during the past seven and a half years, there are quite a few who have had that bitter experience. Of course, it is wrong to upset others with one’s words. But I wonder if it is right to attack people, continually, wherever they are, who did so only with good intentions, “justifying” the attacks on them with the claim that “someone was hurt.” In this age of social media, power relationships between the disseminators and receivers of information are increasingly ambiguous. That raises many new questions. Making something easier to understand, on the other hand, can make it more difficult to separate the intended effect from possible harm. For example, whenever a doctor prescribes medicine, there is always the possibility that toxic side effects will occur. If the doctor fears those effects, she or he can provide a treatment that is less toxic, though that will make it less effective at the same time. That is to say, the treatment will end up being neither toxic nor medicinal. If that happens, the original objective of the treatment may not be achieved. When a doctor sees a patient suffering from side effects, meanwhile, he or she, too, may feel a measure of guilt as the person who caused them. Even so, doctors go on with their work, providing medical care. The same can be said of those who comment online and communicate their opinions. Without senders, nothing would ever be conveyed or received. If someone is “hurt” as a result, it is important for the sender to reflect and apply that lesson to his or her next communication—not to cease communicating altogether. As is often said, doctors are “trained” by their patients. If a doctor speaks or acts inappropriately, or gives an injection clumsily, or fails to consider side effects, conscientious patients will challenge those doctors but remain loyal to them. Doctors grow through the tolerance of such patients. Isn’t it possible for us to be similarly tolerant of those who want to get involved in Fukushima? Might we not, when their information is inaccurate or unartfully expressed, merely point those things out, and give them another chance? Can we create such an environment for them? My words here may just be the irresponsible view of an outsider. But if the primary concern in communication becomes not upsetting others, that will lead to an uptick in the kind of communication that is “neither toxic nor medicinal.” I would rather see aspiring people try, and continue, though they sometimes may make mistakes. As with the case of the Sun Child statue, those people now involved in Fukushima and disseminating related information may end up hurting locals. Will those earlier commenters, having learned from their mistakes, be able to show newcomers the same kind of tolerance that they once received? I believe that that may be one key to preventing the Fukushima accident from fading into history. I hope that Japan will rediscover the ability to tolerate mistakes and failures—a trait that seems to have been lost nationwide—through the reconstruction of Fukushima. 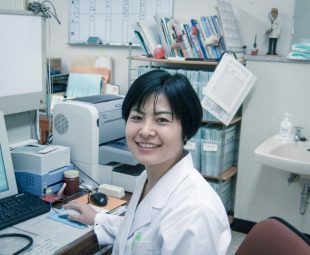 Ochi, who holds M.D., M.P.H., and Ph.D. degrees, is lecturer in the Department of Laboratory Medicine at the Jikei University School of Medicine in Tokyo.